check-in at hotel. Enjoy beach activities. Overnight stay at Gopalpur. After Breakfast Proceed to beach,Relax at the beach whole day. Overnight stay at Gopalpur.The sea shore town of Gopalpur with her blue beach attracts visitors round the globe and offers 'Sun - Sand - Surf' to them. The back waters of the Blue Bay enhances the beauty of the quiet beach. Far from the maddening crowd, the sea side resort makes every moment a cherished experience. After Breakfast Proceed to Chilika Queen of natural beauty, Chilika, the largest brackish water lake in Asia covering an area of over 1,100 sq. 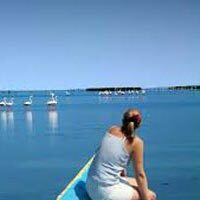 km is a great attraction for the tourists for fishing, bird watching and boating. In winter Chilika aflutters with thousands of indigenous and migratory birds of many varieties from far and near - even from the distant Siberia. 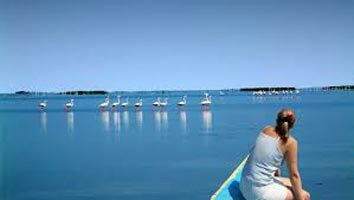 The fabulous beauty of Chilika which has inspired poets to sing its glory and which can be best enjoyed from Balugaon, Barkul, Rambha and Satpada must be seen to be believed. One can also have a glimpse of the lake from the moving trains and vehicles on the road near these places. The atmosphere is just serene and undisturbed amidst the blue expanse of water on one side and an evergreen range of hills on the other. Dotted with a host of islands with romantic names, a cruise in Chilika will be a life-long memory.